Most of the largest gold nuggets found in the United States have come from California. 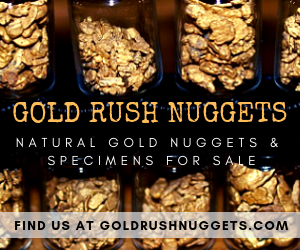 Most of the big nuggets that were found during the gold rush were melted down. These 3 gold nuggets were saved from the smelter, and still exist today. The Fricot Nugget was found in 1865, and it is one of the largest pieces of crystalline gold from California. It was found in El Dorado County, some of the richest gold mining ground on Earth. 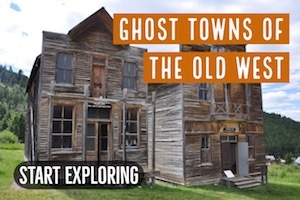 The finder was a man named William Russell who operated a mine at the Spanish Dry Diggings. The specimen was found several hundred feet below the surface in a mine. The nugget weighs over 200 troy ounces and is one of the finest remaining specimens documenting the California Gold Rush. This solid piece of crystalline gold was eventually purchased by Mr. Fricot who was from Grass Valley, CA. 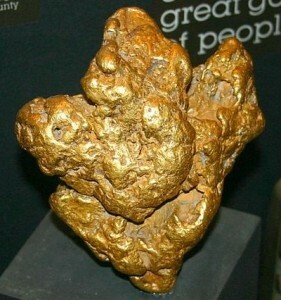 The nugget is part of the gold nugget collection at the California State Mining and Mineral Museum. In 2012, a robbery occurred here and several million of dollars in gold nuggets were stolen from the museum, but the Fricot Nugget was not taken. 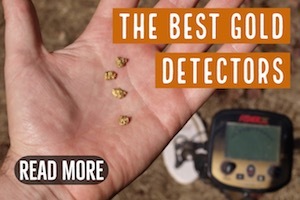 One of the best metal detector discoveries from the state of California would have to be the huge Mojave Nugget, which was unearthed by a gold prospector using a detector in the Mojave Desert in Kern County. The richest areas here are near Randsburg, a famous mining town in southern California. 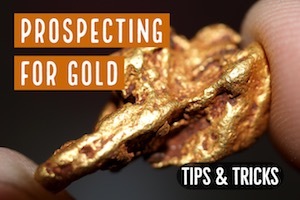 Some of the best gold mining in southern California is around Randsburg. The finder was named Ty Paulsen, and it was found in 1977. It is believed to be the largest nugget found in the Randsburg district. Many people claim have inaccurately said that the Mojave Nugget was the largest ever found in California, but there have been many larger nuggets found in the state, although very few of them exist today. It weighs 156 troy ounces. 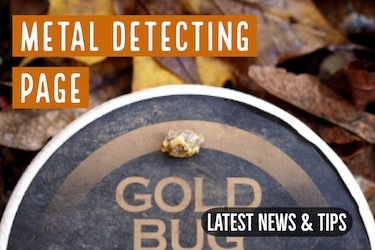 Certainly the largest recent discovery in the United States is the Butte Nugget, which was found in 2014 by an unnamed gold prospector using a metal detector. It comes from Butte County, a very rich region of California’s Mother Lode. The nugget is clean, smooth, and is solid gold with no quartz inclusions. Its total weight is 75 troy ounces! The nugget was sold to a secret buyer for $400,000. The Butte Nugget is proof that not all of the big gold nuggets have been found. 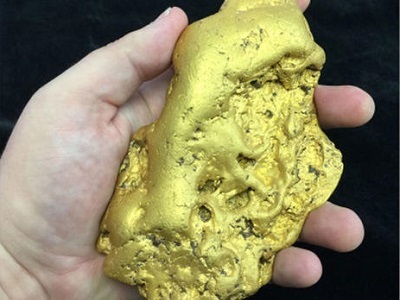 This exceptional nugget likely came from a well-known gold producing area, and was simply been overlooked by everyone else. 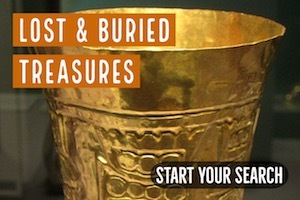 Even today, there are huge gold nuggets that are yet to be found!